We Bring During a scheduled one-hour appointment window, one of our team members will drive our custom truck and storage unit to your current address. 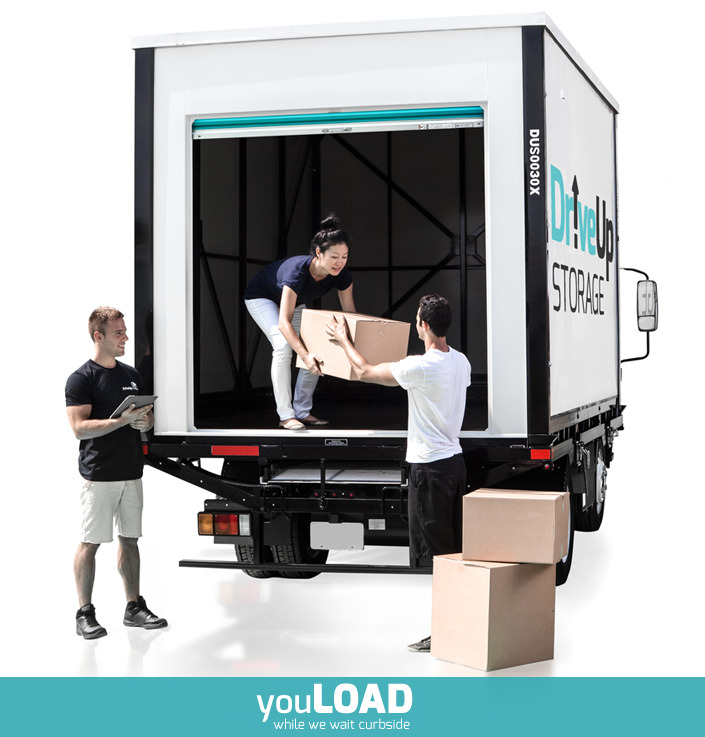 You Load While the driver waits curbside at your address, you – or staff you have hired to help – load the items that need to be stored into the unit. We Detach Our driver will carefully transport your storage unit to one of our local & secure facility where your unit is detached – never tilted – and safely stored. 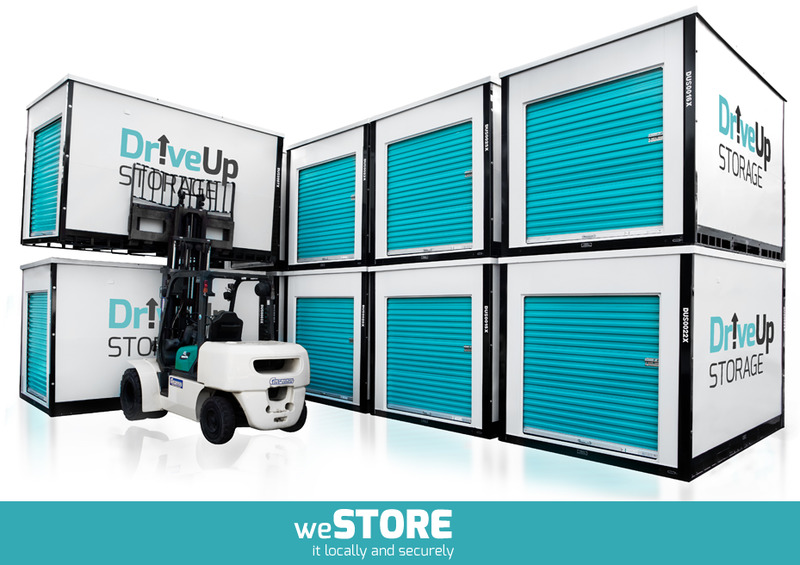 We Store We safely and securely store your unit(s) at one of our local facilities. You Unload While the driver waits curbside at your new address, you – or staff you have hired to help – unload the items that need to be removed from storage. Andy was very responsive and accommodating. He made a stressful process SO much easier. I was able to book the time I needed.Having the storage unit come to you is an ingenious idea and I can't think of doing it any other way. The best part is you this convenience is not cheaper than luggage your stuff to a storage place somewhere in Manhattan. Living in Manhattan, I was concerned the the driver might be late getting stuck in traffic but Angel came right on time - maybe a little early. 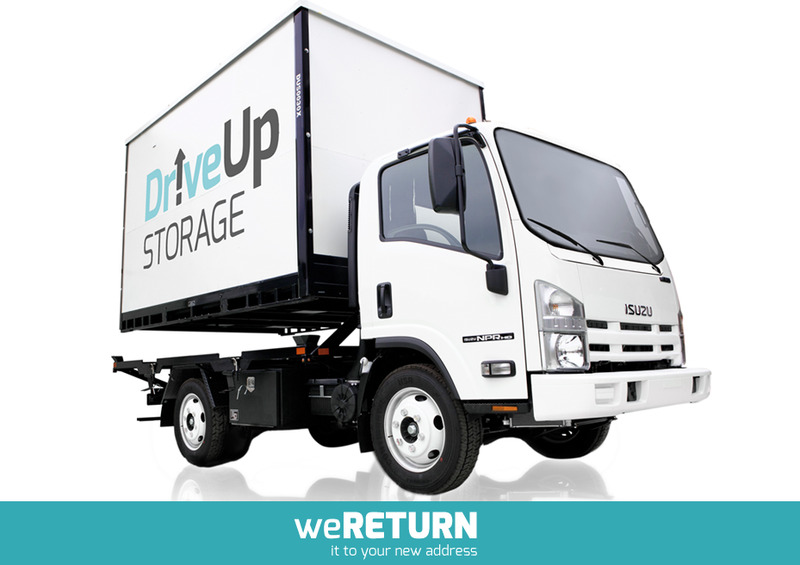 I would recommend DriveUp for your storage needs. Had such a wonderful experience with this company. Jay and Angel were the movers who came to load my storage unit and they did such an amazing job! The folks at DriveUp are fantastic! They were always willing to accommodate our needs and were a lifesaver in our latest move to a new apartment. The price was fair, the people were great, and the service was ultra-convenient. We would use them again in a heartbeat! This company's service is genius! Storage in Manhattan is expensive and a major pain. It's also not easy to carry all your crap back and forth. Having the storage unit come to you rocks! We used ours for temp storage and filled up the unit in less than an hour. Ramp makes it all civilized. Scheduling was easy and both times then arrived a bit early. I highly recommend drive up. I am so happy that I found it via Yelp. Thanks Andy and crew! 4.5 stars rounded up. We were moving from one apartment to another within the city, with a month in between. 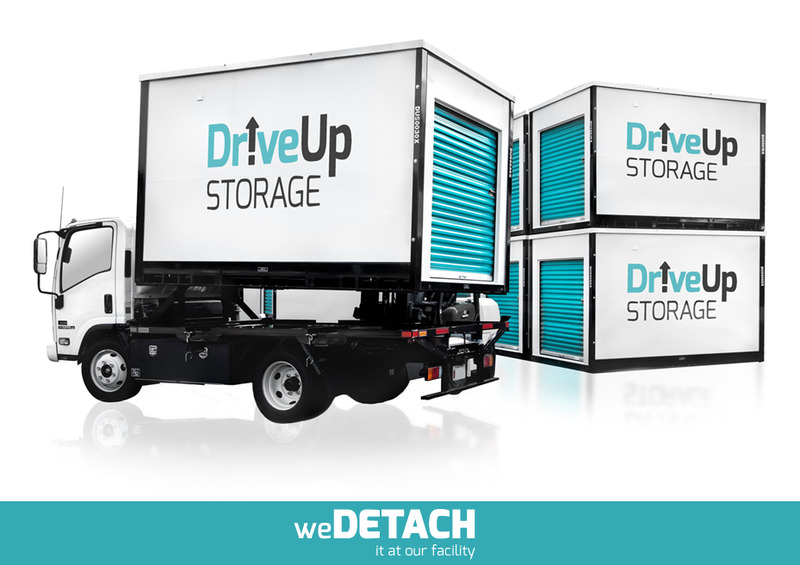 We used DriveUp Storage twice -- once to pickup all our furniture and belongings from our old apartment, and a second time to drop off everything at our new place. We had a medium sized one bedroom, and everything fit, including our enormous couch. That being said, if you have a two bedroom, you might have a harder time. Just make sure beforehand since the truck was smaller that we'd initially expected. 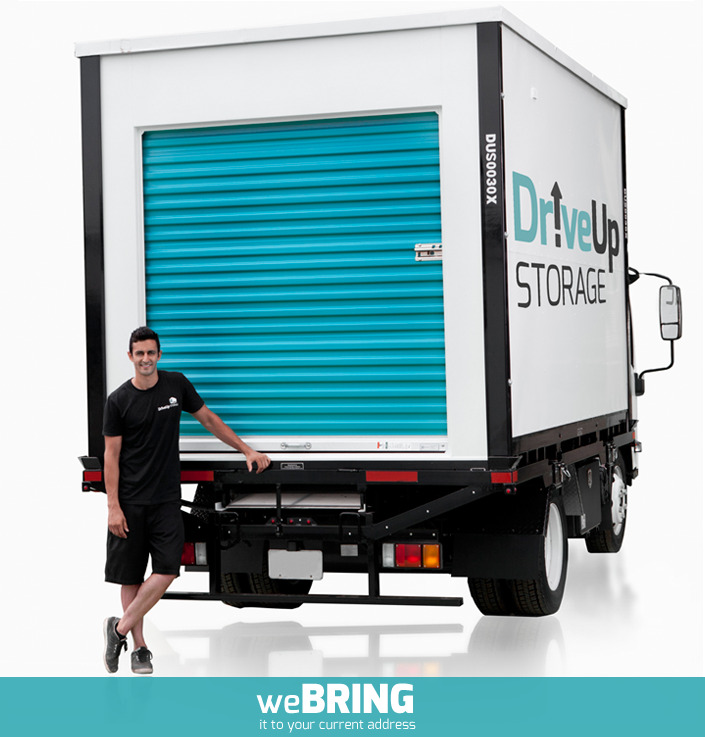 We chose DriveUp Storage because it's fees were cheaper than hiring movers and dropping stuff off at storage facilities, and cheaper than other similar storage pods. Since we didn't have a lot of stuff (medium one bedroom), the storage truck size worked for us. (Keep in mind though that they charge you for tolls. )They are easy to reach over email and when we asked to reschedule due to Winter Storm Stella last minute, they were very accommodating and flexible. Packing everything into the truck was pretty seamless. The driver arrived about 20-30 minutes earlier than the one hour window we booked, but didn't charge us for the initial 20-30 minutes before the appointment window, so we had more time to pack everything in. But when they delivered the truck, they arrived a little later than the one hour window. For that reason, I'm deducting half a star. But they were flexible in scheduling, honored an initial quote they gave us and we had a generally stress-free experience with them, so rounding up.